Sgt. 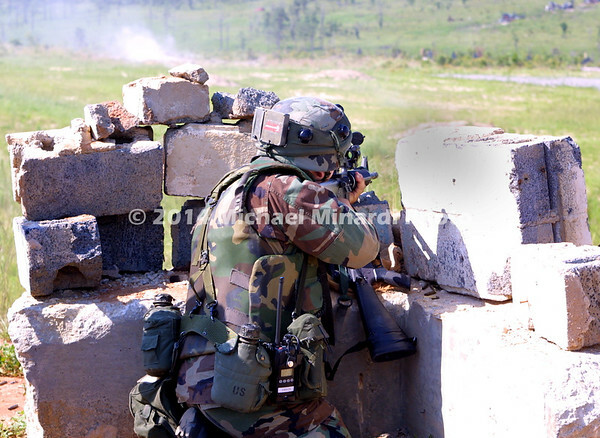 Martinez of the 1-115 Infantry of the Maryland Army National Guard lays down suppressive live fire during annual training at Fort Bragg, NC. on a scorchingly hot day during Operation 38 North Yankee.